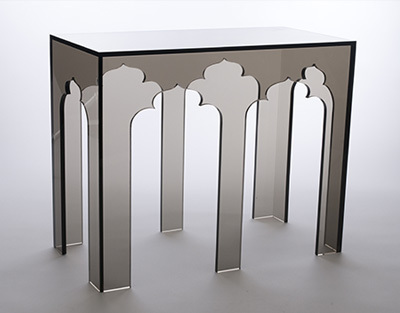 The Alexander double table is based on historic designs from India. With its exotic, pointed arch, it suggests the monumental portal of a Mughal palace while the clean, rectangular silhouette is crisp and tailored. Also available in clear and white.